Elegant Colonial Revival in the Heart of Eden! This astounding estate is 15± peaceful and quiet acres which boasts a beautiful 5,231 square foot home that overlooks the Smith River. A home like this is very RARELY offered at auction, DO NOT MISS THIS OPPORTUNITY! Terms: 10% Buyer’s Premium. 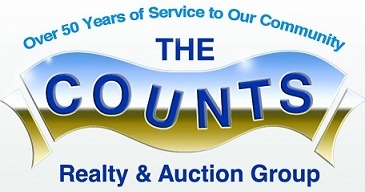 10% deposit on the day of the auction, balance @ closing w/in 30days. Located in the heart of Eden just to the East of the Smith River on W. Meadow Rd (old State Hwy 770). Watch for the sign on the North side of W. Meadow Rd.